Freshwater systems are threatened like no other ecosystem globally. 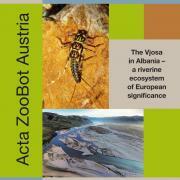 In Europe, the last intact rivers are located in the Balkans, but are severely at risk due to 3000 dam projects. 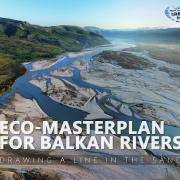 We have come up with a scientifically founded plan to protect these river jewels: the Eco-Masterplan for Balkan Rivers. 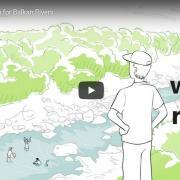 For the purpose of today’s World Water Day, we present to you this video explaining the Eco-Masterplan for Balkan Rivers in two minutes. 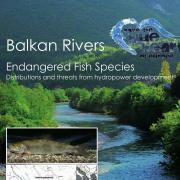 +++ The Balkan rivers host 113 rare and protected fish species. 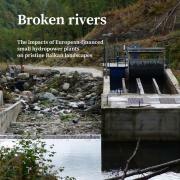 If the hydropower development is carried out as planned, about 10 percent of all European river fish species will be endangered +++ The rivers in the Balkans constitute Europe’s fish sanctuary, according to a new study presented today by Riverwatch and EuroNatur. 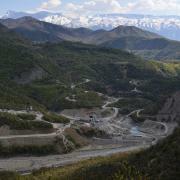 A new data set makes the extent of the threat to the Blue Heart of Europe visible: the dam tsunami has started to roll. 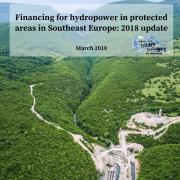 Currently, about 2,800 hydropower plants are being planned between Slovenia and Greece, 187 are under construction, more than 1,000 (or 37%) are located inside protected areas. 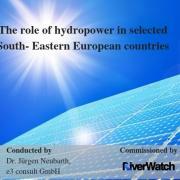 Since 2015, about 160 to 180 hydropower plants have been constructed in that region. 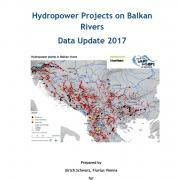 A wave of hydropower development fuelled by European public funding and EU companies is endangering pristine river environments in the Balkans, finds a new study by CEE Bankwatch Network released today. 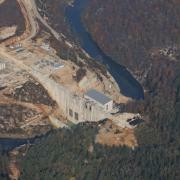 ++ 113 hydropower plants projected in national parks ++ Next Sunday, on May 24th, is the “European Day of Parks” – a day to celebrate protected areas in Europe and advertise their values and benefits. However, particularly on the Balkans there is little reason to celebrate. On the contrary, a recent study shows that 535 projects are currently planned within strict nature conservation areas, 113 of which in the midst of national parks.